Hawaii Attorney General Clare E. Connors on Tuesday asked the Hawaii Supreme Court to immediately suspend Honolulu Prosecutor Keith Kaneshiro, who is a target of a federal investigation. Star-Advertiser. State Attorney General Clare Connors contends the Honolulu prosecuting attorney should be temporarily removed from office because of his potential entanglement in a federal corruption case. Civil Beat. Hawaii's attorney general is asking the state's highest court to immediately suspend Honolulu's top prosecutor because he is the target of a federal investigation. Associated Press. Attorney general seeks ‘immediate suspension’ of embattled city prosecutor. Hawaii News Now. What's next if prosecutor goes on leave, quits or gets ousted. 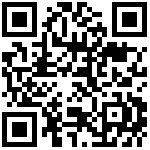 KHON2. Katherine Kealoha, a former Honolulu deputy prosecutor and the wife of a former Honolulu police chief, dealt illegal prescription drugs obtained from her brother, a Big Island doctor, and used her position to protect him from arrest, federal prosecutors alleged in an indictment unsealed Tuesday. Star-Advertiser. In a federal indictment unsealed Tuesday, former deputy city prosecutor Katherine Kealoha and her brother, Big Island Dr. Rudolph Puana, face new charges of selling powerful opioid painkillers illegally prescribed by Puana, covering it up from police and thwarting the prosecution of the case. Civil Beat. In shocking 54-count indictment, Katherine Kealoha and doctor brother charged with dealing drugs. Hawaii News Now. In page-turner of a court filing, prosecutors detail the Kealohas’ ‘house of cards’. Hawaii News Now. 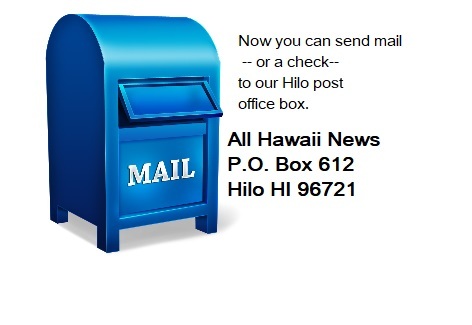 To think it all came crashing down with a report of a stolen mailbox in 2013 that would later spark investigations into former Deputy Prosecutor Katherine Kealoha and her husband, former Chief of Police, Louis Kealoha. KHON2. Katherine Kealoha indicted on drug distribution charges. KITV. The 2019 Legislative Session is almost at the 1/3rd mark but work on the State Budget appears to be moving slower than before. Hawaii Public Radio. A bill that would shift authority over the state’s airports from the Department of Transportation to an independent airports corporation was introduced for the fourth consecutive year. Tribune-Herald. State legislators are again considering bills to restrict the areas where tobacco or e-cigarettes can be sold, and to make smoking more expensive by increasing the state’s tobacco tax. Star-Advertiser. A Senate Committee Tuesday passed a bill to clarify the language on Hawaii's ban on gay conversion therapy. KITV. Gov. Ige extends emergency proclamation on homelessness. West Hawaii Today. A Micronesian government official was arrested in Honolulu for his alleged connection to a bribery case involving the head of an Oahu engineering firm. Hawaii News Now. Federal authorities in Honolulu have arrested a high-ranking government official from the Federated States of Micronesia in the latest development in a Hawaii bribery scandal involving a prominent local engineer. Civil Beat. 44-year-old Master Halbert is charged with one count of conspiracy to commit money laundering for allegedly accepting bribes from a Hawaii-based engineering company to secure nearly $8 million in contracts from the FSM government. KITV. Honolulu City Council newcomer Heidi Tsuneyoshi is calling for a forensic audit of the Honolulu Authority for Rapid Transportation’s procurement processes as well as the city’s management of rail contracts. Star-Advertiser. Honolulu City Councilwoman Heidi Tsuneyoshi will be introducing a resolution to conduct a forensic audit of the 8.6 billion dollar Rail Transit Project. Hawaii Public Radio. A Honolulu lawmaker is calling for a forensic audit of the City's rail project. KITV. A measure to raise height limits for high rises in Kakaako tabled in House Committee meeting. KITV. The owner of the 25-story downtown Honolulu office tower 1132 Bishop announced plans today to convert the building into about 500 residential apartments with moderate rent. Star-Advertiser. 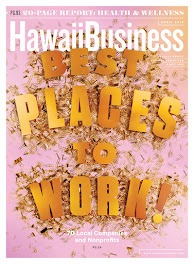 The owner of one of Honolulu’s most recognizable office buildings unveiled plans on Tuesday to convert most of the property into hundreds of workforce rental apartments. Hawaii News Now. Kyo-ya is gearing up to raze the existing Princess Kaiulani Hotel to construct Waikiki’s first new all-hotel tower in nearly 40 years. Star-Advertiser. Massive flood control project for Waikiki would gobble up schools’ outdoors space. Hawaii News Now. Experts seek long-term solutions to North Shore’s chronic erosion problem. Hawaii News Now. The Legislature came closer to setting the framework for rusting Aloha Stadium’s future Tuesday by quickly deferring House Bill 695 and leaving just two identical bills, House Bill 1497 and Senate Bill 1530, dealing with a new stadium progressing in the session. Star-Advertiser. 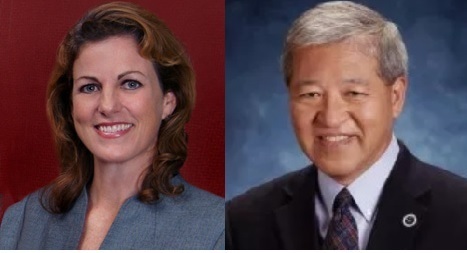 Kamehameha Schools has announced three finalists in the running to become a new trustee. Hawaii News Now. Group Calls For Ouster Of Humane Society CEO. Excessive euthanizations and hostile working conditions are alleged by an organization that includes former and current employees. Civil Beat. Vehicle registrations can now be done at Safeways. Star-Advertiser. Florida-headquartered Southern Airways Express announced Tuesday that it has acquired Mokulele Airlines, but the local airline’s customers can still count on seeing the same branding and employees they’ve come to know and could potentially see new destinations on the horizon. West Hawaii Today. A winter storm that caused reported wind gusts of 191 mph late Sunday afternoon at the Maunakea summit caused minor damage to at least two observatories, but didn’t affect operations, officials said. Tribune-Herald. Trimming traffic: Bill to widen Kuakini Highway passes first committee hearing. West Hawaii Today. Increased Military Training In Hawaii Raises Concern. Big Island Video News. An opening hearing will be held to receive testimony on the Auwahi Wind Farm draft Habitat Conservation Plan amendment. Auwahi Wind Energy, LLC operates eight 3-megawatt wind turbines augmented by an 11-megawatt battery storage system located on ‘Ulupalakua Ranch, on the eastern side of the island of Maui. Maui Now. A public informational meeting has been set for 6 p.m. Feb. 20 at the Department of Planning conference room for proposed Maui County amendments to the 2015 International Energy Conservation Code. KHON2. Rangers: Look but don’t go to snow. White winter reached down the mountain to Polipoli; scores still without power. Maui News. Atop Haleakala, the wintry storm conditions are sticking around. Maui County officials said Tuesday afternoon that the Haleakala National Park summit district was closed and will remained closed until the wintry conditions subside. Hawaii News Now. Gov. David Ige on Tuesday issued a sixth supplementary proclamation for Kauai County, which continues to recover from severe flooding and damage caused by heavy rains in April. Garden Island. Suicide death numbers lower in January. In 2017, there were 25 reported suicide deaths on Kauai. In 2018, there were 18. Garden Island.